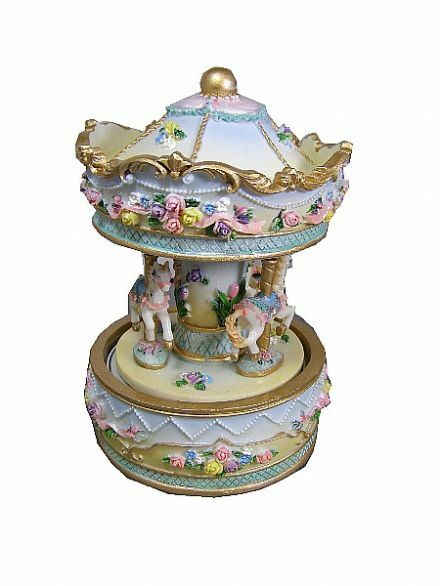 A beautifully painted wooden music box carousel with 4 miniature horses. 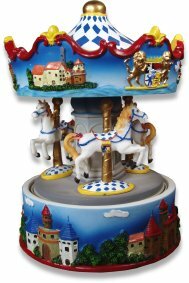 The base is fitted with a clockwork musical movement.The top part of the carousel rotates on the base as the ornament plays. The musical carousel plays the tune 'O Du Lieber Augustin'. 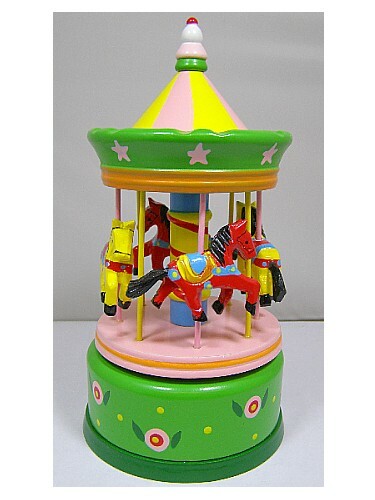 This musical carousel is made from wood and hand painted in green, pink & yellow colours. 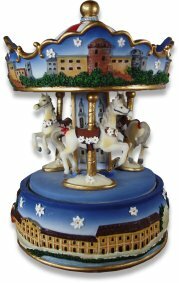 IMPORTANT NOTICE - Our range of figurines & carousels are mostly made from either a cast resin, porcelain or wood, then fitted with metal components such as the music box movement & winding plate / key etc. Please be aware that although sturdy, the resin & porcelain is brittle and if handled without care they can crack or parts can break off. 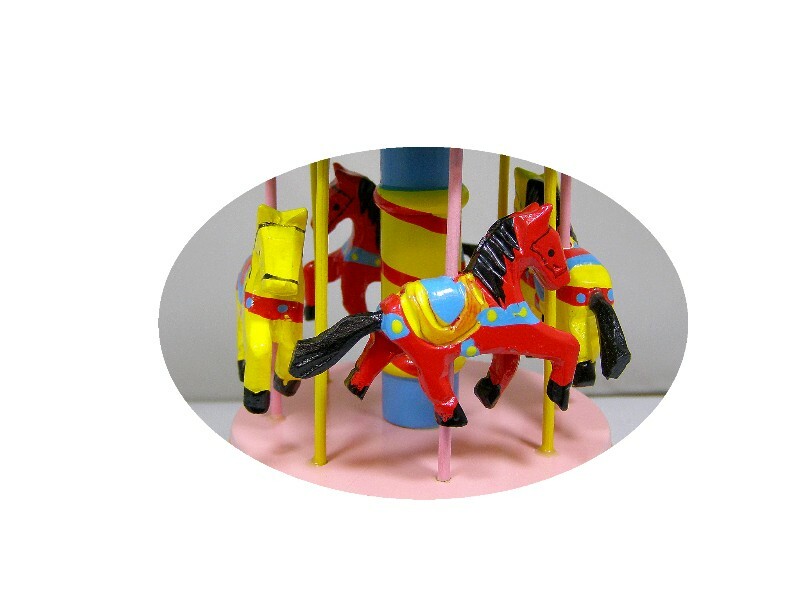 The carousels are wonderful gifts, but they are not toys. They are a collectable figurine, so children should be supervised if handling them. They are not suitable for very young children or babies due to small parts.